The last picture taken of the Mars lander Beagle 2 showed it being successfully ejected from Mars Express on Christmas Day in 2003. But sadly, we never got a signal back from the lander and have ever since tried to work out what happened, and where it is. Eventually we made a breakthrough – and our findings have now been published in Royal Society Open Science. Beagle 2 fascinated many people from all walks of life, including me as a young planetary science researcher. I was attracted by the sense of possibility that it opened up. Space exploration didn’t have to be carried out just by Americans and Russians in their vast missions. The UK-led Beagle 2 caught some of the sense of the British optimism in the late 1990s, and the contemporary pop band Blur and artist Damien Hirst actually helped the late planetary scientist Colin Pillinger to get funding for the project. Our new results are based on a decade-long imaging campaign using the NASA Mars Reconnaissance Orbiter HiRISE camera. Even with its pixel sizes of 0.3 metres on the martian surface, finding a small lander was always going to be difficult. Before the start of the MRO/HiRISE mission in 2006 it was even impossible. Luckily, using Mars Express trajectory data, the European Space Agency (ESA) recalculated the Beagle 2 landing zone (the shape of an ellipse) from an original axis of 174km to 57km – greatly reducing the area on Mars that needed to be searched. Even so, we had to find a 1.5 metre lander in over 1400km2 of Mars. Between 2006 and 2014, a total of 26 HiRISE images were examined for signs of Beagle 2 – without success. However, German citizen scientist Michael Croon (a former member of the Mars Express operations team) had noticed a gap between HiRISE images within Beagle’s landing ellipse. With HiRISE, anyone can suggest a target to be imaged on Mars – if the case for it looks good, it will be taken and put on the public website. In November 2014, Croon noted possible identification of the lander in the image he had requested, and asked for repeat imaging. The spot was some 20km from the original landing target in Isidis Planitia, a vast basin with signs of an ancient habitable environment. The red, oxidised martian surface at Isidis reflects light in a diffuse way but here was a strikingly bright object showing specular reflections – just the way light would be expected to reflect off the metallic and solar panel surfaces of a man-made object like Beagle 2. Careful examination of combined multiple HiRISE images taken to check our observations showed a flat-lying, multi-lobed structure – Beagle 2. It suggested that some of the four solar panels had indeed deployed after landing. There was also an object moving between seven repeat HiRISE images. This may well be the lander’s aeroshell rear cover with its small parachute moving around on its tether. So why didn’t Beagle 2 communicate after landing? As a small, 33kg lander – compare that to the one tonne Curiosity rover behemoth – fitting all the communication and science equipment into the conical lander aeroshell was challenging. If one or more of the solar panels failed to deploy fully due to some damage at landing, then the radio antenna underneath them in the lander base would not have been able to communicate back to us via the Mars Express Orbiter. Nonetheless, it seems that much of the landing sequence worked, including stable atmospheric entry, parachute deployments, airbag inflation and separation, and at least the first part of the sequence of solar panels unfolding from the base. The next step is to take even more images – that should help us work out how much of the deployment sequence occurred. Pillinger was in some ways ahead of his time in seizing a chance to land on Mars. Currently there are several credible plans to land robotic vehicles on Mars within the next five years. At a recent Lunar and Deep Space Exploration Conference in Beijing, China reaffirmed its intention to launch a rover to Mars in 2020. There are intriguing signs that China is opening up its ambitious space programme to the outside world and seeking collaborators. ESA and Chinese astronauts have trained together, and importantly data from the recent Yutu lunar rover were released to the wider world. NASA have for a long time allowed everyone to access their data, and this culture of open access to science is clearly spreading. India is planning a follow up to their Mangalyaan Mars orbiter success with a Mangalyaan 2 – and this may have a lander as well. The Indian government has signed a letter of intent with the French Space Agency CNES to help enable this. CNES is also looking to participate in a mission to Mars led by the United Arab Emirates. Indeed, collaboration is increasingly important – there are signs that Europe, the UK, US, Russia and India are also opening up at least some parts of their space programmes. How many other spheres of human activity can say that? But it’s not all about spacecraft. Since 2003, planetary scientists in the UK have continued to work on 129 identified martian meteorites. A natural development from this research is a sample return mission from an area on Mars that we think from its mineralogy was likely to have been habitable for microbial life. The NASA Mars2020 mission is envisaged as the first part of such a mission. Scientists in the UK are discussing plans to have a facility where samples from the solar system, including Mars, could be curated and studied. Meanwhile SpaceX are leading the way for commercial organisations to reach Mars and the moon. Whether they can successfully make it to Mars by 2020 remains to be seen but an exciting new commercial emphasis on the parts of space exploration that have until now been solely the domain of government and intergovernmental agencies has clearly arrived. However, the crash landing of the 2016 ESA Schiaparelli technology demonstrator lander is a salutary reminder that landing on and exploring another planet is not yet routine. We hope to learn from this in the ExoMars2020 rover mission. 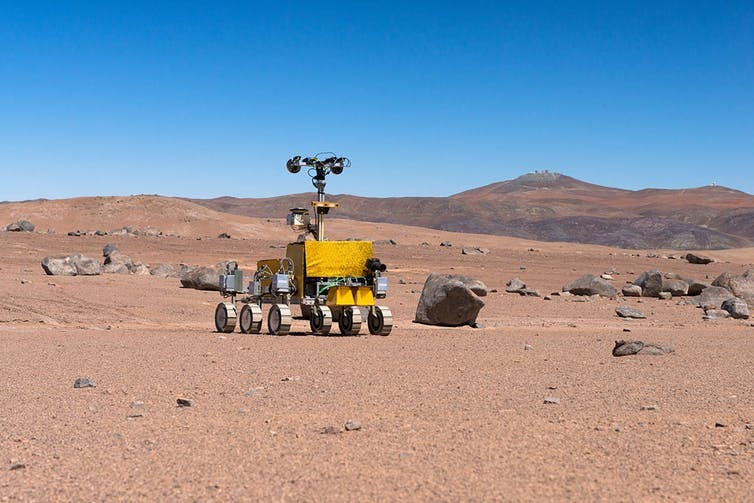 Excitingly the ExoMars 2020 rover has a two-metre drill and sophisticated instruments to test for signs of ancient life. 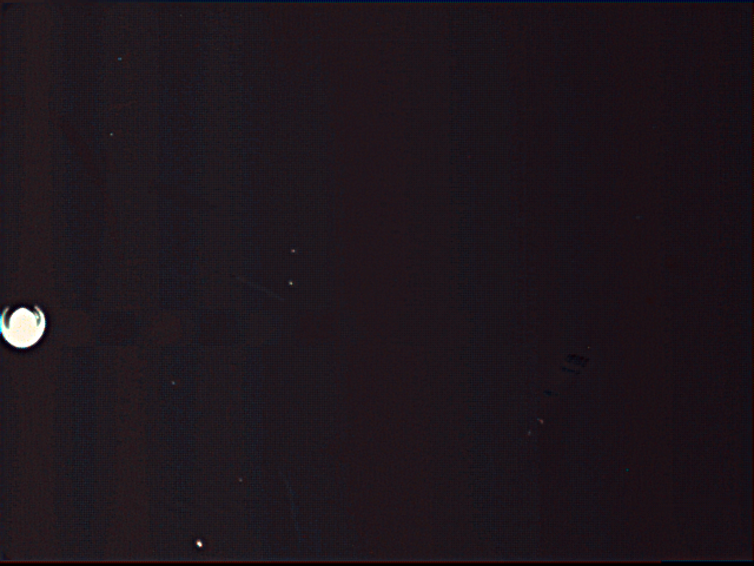 Beagle 2 shows the fine and indistinct line between success and failure in Mars exploration. It introduced a new generation to the possibilities of space exploration and successfully achieved the initial stages of landing before unsuccessful final deployment of the solar panels. It will remain a significant part of the UK’s space science heritage for many years to come.